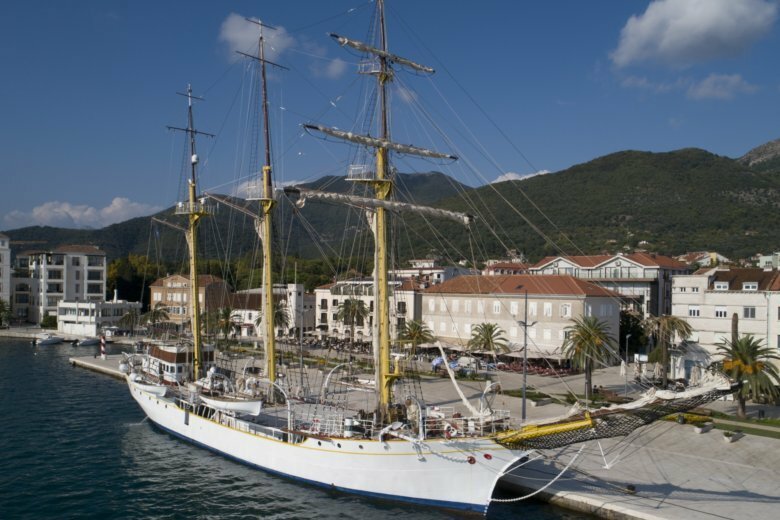 TIVAT, Montenegro (AP) — Montenegro and Croatia have resolved almost all of their differences more than two decades after fighting a war, except for one: a dispute over an 85-year-old former Royal Yugoslav Navy training ship. The majestic sailing vessel called Jadran, or the Adriatic, is currently part of the Montenegrin naval fleet based in the port of Tivat. Croatia is demanding the return of the tall ship, which Montenegro adamantly refuses to do. The disagreement is so serious that Croatia is threatening to block Montenegro’s efforts to join the European Union, and it’s also reviving old tensions. Being part of shrunken Yugoslavia together with Serbia, Montenegrin troops launched an assault against the medieval Croatian town of Dubrovnik in 1991, keeping it under siege for months. The town, a UNESCO heritage site, was shelled from land and sea before an international outcry stopped the onslaught. Before the war between the two Adriatic Sea neighbors, the 60-meter (200 feet) white vessel with three masts was docked in the Croatian port of Split before it was moved to Montenegro in 1990 for repairs. Croatia says its home port has always been Split, thus it must be returned after it was “illegally” taken. Montenegro claims that an agreement between the warring sides after the bloody breakup of the former Yugoslavia in the 1990s calls for all military equipment that found itself on a state’s territory belongs to that state. “Jadran became part of this town’s history 85 years ago and I’m confident that it will outlive us all and in the next 85 years continue to welcome new generations, new sailors and new visitors,” Montenegro Defense Minister Predrag Boskovic said last month in Tivat during Jadran’s 85th-anniversary celebrations. He said that Montenegro’s government in 2013 provided significant funds for its overhaul, indicating it is not willing to hand it over to Croatia anytime soon. The Croatian Defense Ministry says that the return of Jadran is one of its main foreign policy priorities and some Croatian officials have hinted the European Union-member state would block Montenegro’s membership in the bloc if it isn’t. Krsticevic said that “in the spirit of good neighborly relations and as a goodwill gesture,” Croatia has offered to share the ship for training purposes, but that it first has to be returned to Split. The ship has had a turbulent history, serving in the navies of eight different countries. The vessel was called Marco Polo when it was taken over by Italy during World War II. It was abandoned in Venice and left to decay. The ship’s equipment was looted and was barely floating, serving as a bridge over one of the Venetian canals at one point. The ship’s Montenegrin sailors said they will never surrender their beloved vessel to Croatia because of its history and the fact that its first docking after delivery from a shipyard in Hamburg, Germany, in 1933 was in Montenegro. “For Montenegro’s navy, this is the most important vessel in historic, cultural and technical terms,” said its captain Zoran Ivanovski.